Kestrel (Falco tinnunculus). Male. Taken at East Hendred Down, Oxon., on February 20th 2018. Male. Taken at East Hendred Down, Oxon., on February 20th 2018. Kestrel (Falco tinnunculus). Female. Taken at Otmoor, Oxon on December 27th 2013. Female. Taken at Otmoor, Oxon on December 27th 2013. 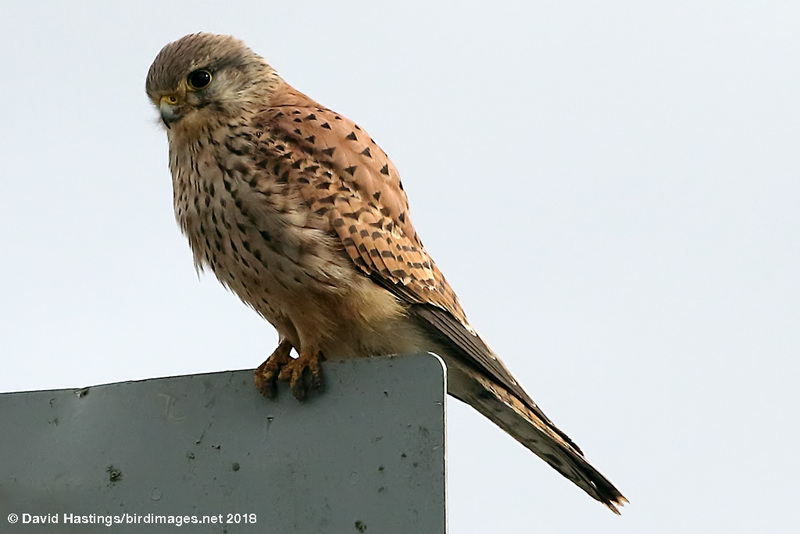 The Kestrel is familiar sight with its pointed wings and long tail, hovering beside a roadside verge. The male has an unbarred blue-grey rump and upper tail. The tail has a wide, dark terminal band. Its head is a finely-streaked greyish colour, while its back and upper wing coverts are a deep chestnut with small black spots (more pinkish during the breeding season). The female has a brown rump and upper tail, with a wider tail-band than the male. The head is brownish with distinct streaks. The upperparts are warm brown, with barring rather than spots. 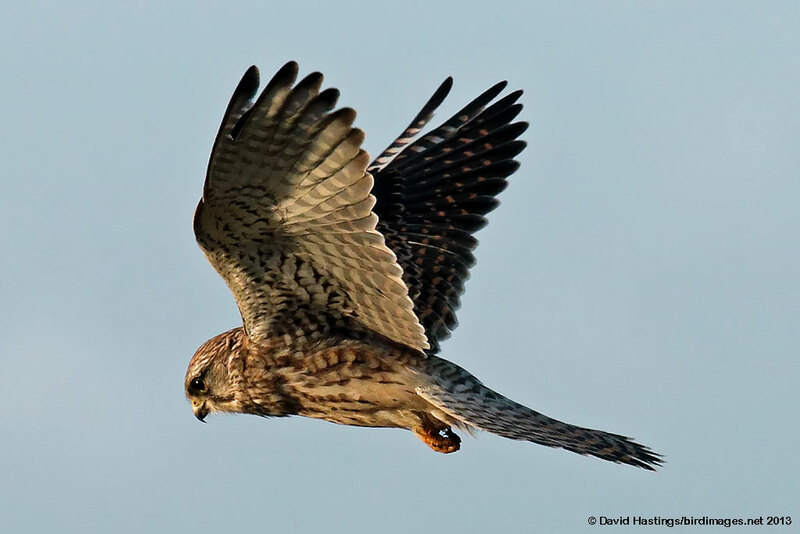 The Kestrel can be found throughout the British Isles. Typically this is a species of open country, but it has adapted to more urban environments in recent years. Kestrels are tree nesters, often in an old corvid nest. They will also nest in holes in buildings. There are about 37000 breeding pairs in Britain. The Kestrel's conservation status is amber, owing to habitat degradation.